Lemonade is just the most wonderful symbol of summer. 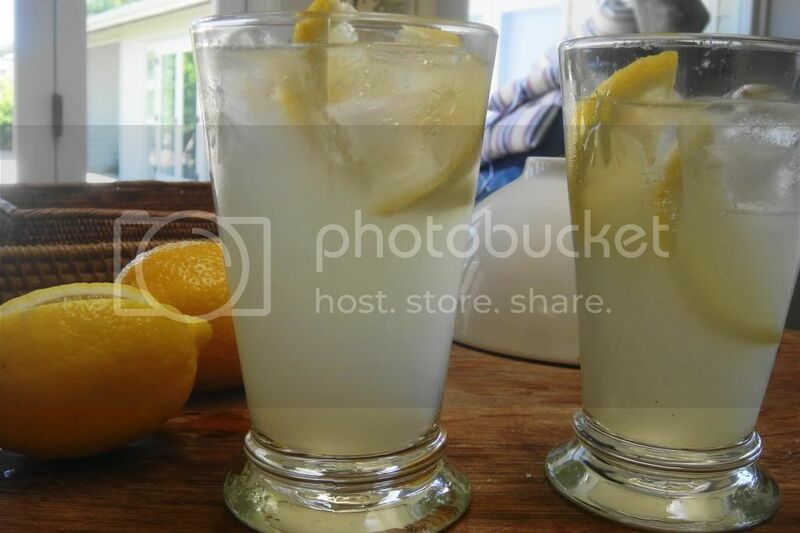 When the sunny days seems to absorb any kind of moisture and cool – I find lemonade to be the perfect cure. This lemonade is ridiculously easy and full proof. 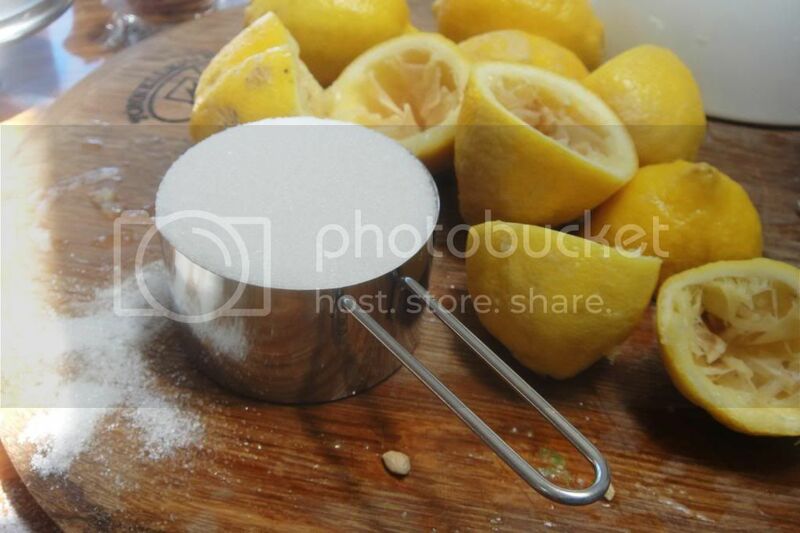 The idea is one cup of lemon juice (no pips please), one cup of sugar and one cup of water. The one cup of lemon juice takes about 4 large lemons. My sneaky trick to making lemonade is to pop the lemons in the microwave for 40seconds. I don’t know why (science is not my strong point) but it makes the lemons produce more juice than when they are straight out the bowl. So now you’ve spent some time discovering all the little cuts on your hands as you juice the lemons- you’re ready to do the cooking. The cooking consists heating up a pot. 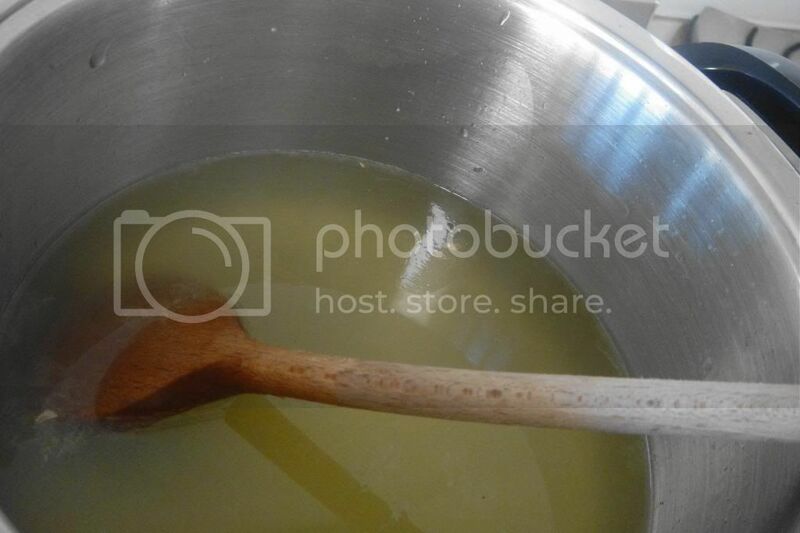 First add the sugar and the water- and once the sugar is fully dissolved add the lemon juice. Now here is where you have some choices- you can go the conventional lemonade route and add 4 more cups of water. Throw the mixture over a jug of ice and serve. Or you can go the sparkling water route. I like a little sparkles in my lemonade. I also like rum in my lemonade – so feel free to add a little booze for a lazy Sunday lunch or a hot summers day. How much sparkling water you add is really about your preference. If you like it really sweet- add less water. I like mine sweet and tangy but not ‘fudge-level-visit-the-dentist’ sweet. So I put about 4/5 cubes of ice in a glass. Fill the glass half way with the lemonade syrup and top up the rest with sparkling water! And it tastes like yum! Perfect for a summers day 🙂 I add a couple of slices of lemon to add some pretty and to use them as makeshift swizzle sticks.